Deluxe studio light kit. Light stands are made of top quality aluminum, set up in seconds and are easily adjusted. This portable studio lighting uses 35 watt, 5400k fluorescent spiral bulbs representing the best lighting available. This studio light kit also contains 10" diameter aluminum reflectors. Maximum height is 47". 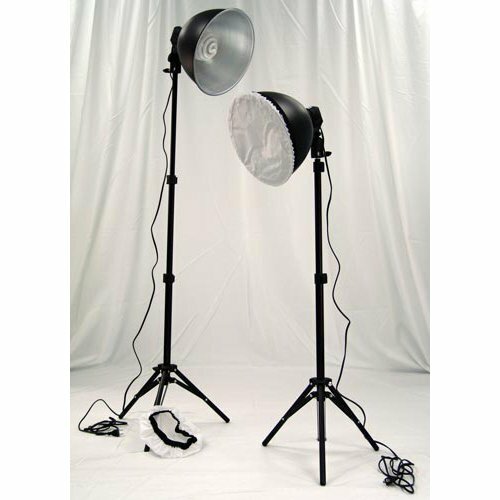 Your photography lighting studio can be easily transported because this portable studio lighting is lightweight and durable.